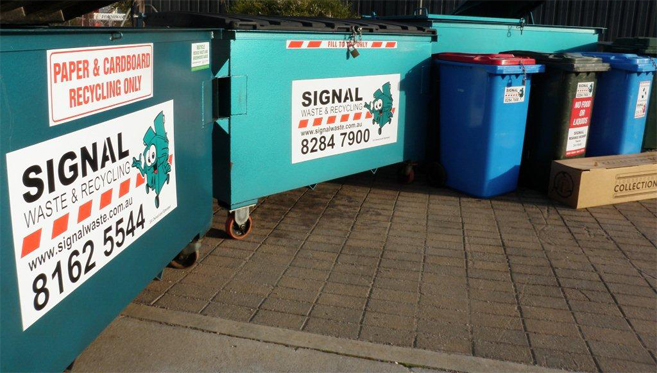 Signal Waste & Recycling has an extensive range of services and waste solutions to suit your needs. Signal can offer the flexibility to provide a tailor made program specific to your company’s unique requirements. Services carried out are performed in a safe and reliable manner, in accordance with OH&S requirements and government legislation. Signal’s Research and Development team is continuously looking for innovative solutions and systems to improve the services that we provide. If you are unable to find what you are looking for on our website, one of our staff will be happy to help you with your waste management enquires.